Big one! 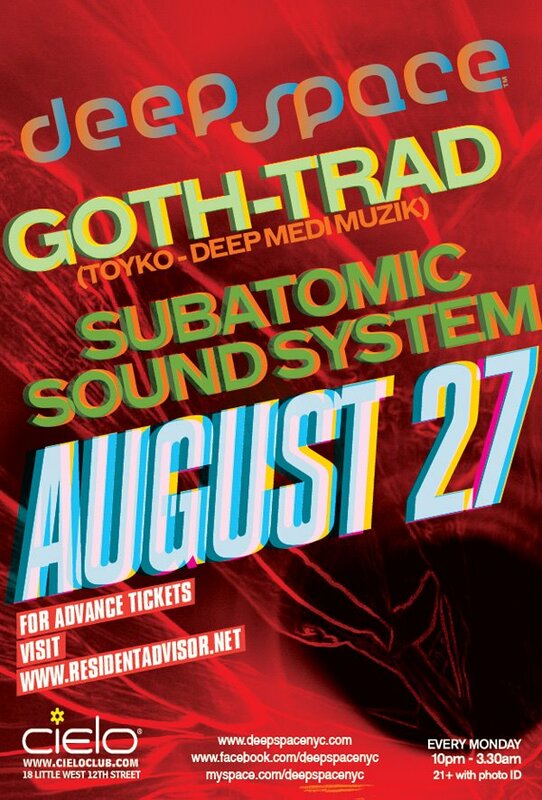 Subatomic Sound System with Japan’s Goth-Trad (DEEP MEDi Muzik) at Cielo, NYC on Monday, August 27 for Francois K’s Deep Space party. Funktion One audio for the deepest bass. Not to be missed. Click the Twitter & Facebook links on the top of this post to spread it! A rare exploration into vintage, current and outer-planetary dub in all of its sweet carnations and alien shapes. Advance tix at www.residentadvisor.net/deepspacenyc Facebook event page here. Click below for music and videos. Originally released as a continuous mix CD, the way it was performed at the parties, now scoop it digitally as individual tracks on Beatport(temporarily missing Kingston Sirto track), iTunes, Juno, or Spotify. 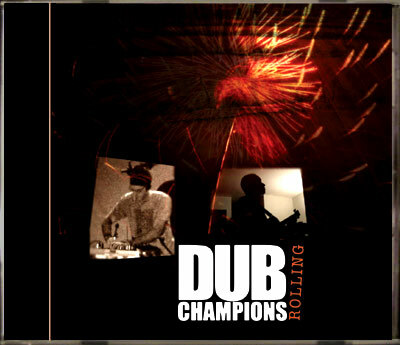 A live dub weekly party and musical project founded by Emch of Subatomic Sound System and Andrew Carras, Dub Champions transformed what was once confined to the studio — the Jamaican dub reggae production style of the 1970s — into a dynamic DJ soundsystem for the here and now. Vintage analog delay, mixers, and samplers shape the sound of original tunes: tunes that blend reggae, sure, but also hip-hop, drum and bass, blues, mid-east, and african influences, among others.